Winter comes bringing a clean atmosphere and spectacular snow views but leaves behind chaos. 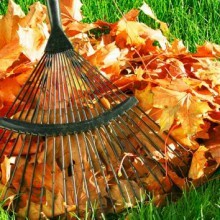 Plants and nature go dormant, weak branches have fallen, and gardens are dirty and require a good yard clean up. Spring is the perfect time to wake up your backyard and help it grow and flourish. In order to do that right, the whole property must be prepared. Follow the proper order of things to avoid wasting time or failing in your attempts to bring spring in your garden. Winter and weeds are very closely related. Weeds flourish under compact soil, with sticks and leaves covering the yard. They can also bring diseases, causing all your efforts for a healthy, blooming garden to be in vain. For this reason, it’s important to take action. Check the soil for weeds with a fork. It must enter the earth about two inches in depth. The best way to remove weeds is to remove dead plants from your garden. Your garden cleanup tasks may be plenty, but it also depends on how chaotic your yard is. Your goal is to have every corner of your garden perfectly clean. Remove anything that doesn’t belong there. Winter winds can bring garbage onto your land, break tree sticks and make a mess. Collect everything in plastic bags and dispose of it. Time for more serious tasks, cleaning up the flowers and shrubs! If you treated the perennials last year, it’s best to prune them at base level so that you can give the plants the chance to grow again. Dead flowers and plants must be removed, too. It’s good to wait till the weather gets better and there isn’t a chance for frost again. You will notice that some shrubs start showing signs of life. You will help them by pruning them. When the dead parts are removed, they grow easier. 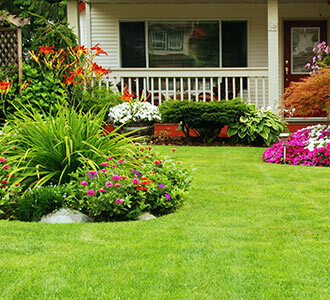 Of course, getting the assistance of Greenbloom Maintenance in Toronto is also recommended since some trees and shrubs should not be pruned before spring. Careful garden maintenance will help you form the base where the new spring garden will rise again.